Swapnil Shetty, has won the Best Film and best Cinematography award at the 5th Goa Short Film Festival 2018. 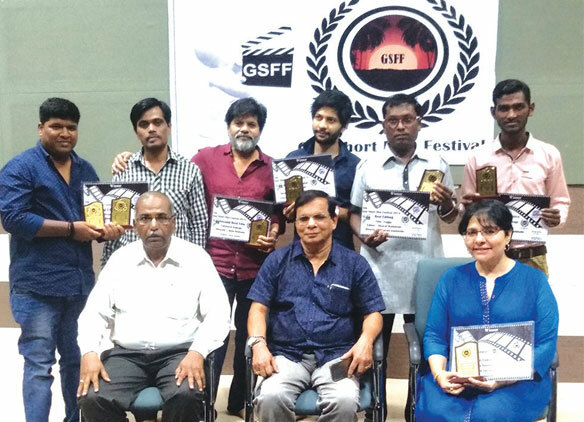 The awards were presented in presence of Sahitya Academy award winning writer, Dr Hema Nayak, filmmaker Anil Kakade, senior film critic Shrikant Kulkarni, Subhashchandra Jadhav, President of Akhil Bharatiya Marathi Film Corporation Meghraj Rajbhosale, Director of Indian Motion Pictures Producers Association Vikas Patil. ‘Collateral Damage’, directed by Aban Devans, won the Best Screenplay and Second Best Film Award. Vikrant Badarekha received the Best Director prize for the short film ‘Drainage’. Dave Deohans got the second Best Director award for his Whistling Woods International’s short film ‘The Hideout’. Best Creative Concept award was been bagged by Dharma Wankhede’s ‘Fugga’, which also won the Best Editing award by Bharat Wankhede. Dr Mansoor Yezdi’s ‘Cafe Irani Chai’ was honoured as the Best Documentary of the festival. Professor at the University of New South Wales Martha Becker, documentary filmmaker Sandhya Sundaram and member of Academy of Motion Pictures Arts and Science worked as the jury for the festival.